These are some amusing brush pen doodles I did at an Animation Guild member meeting a while ago. Can you name them? I sure hope so! 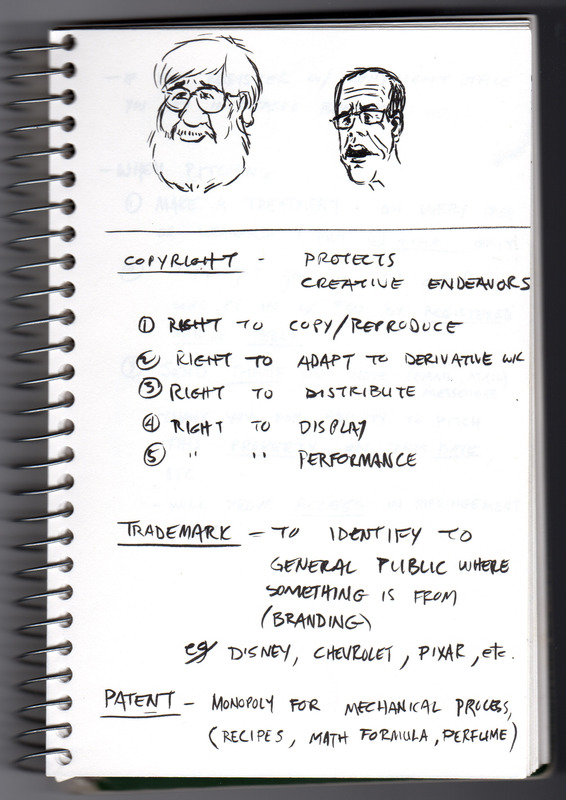 And, just as a bonus, you get a partial selection of my notes on the copyright lecture they gave! Hey…what can I say…I’m a giver. I’ll look for your answers in the comments. C’mon lurkers! Don’t be shy!